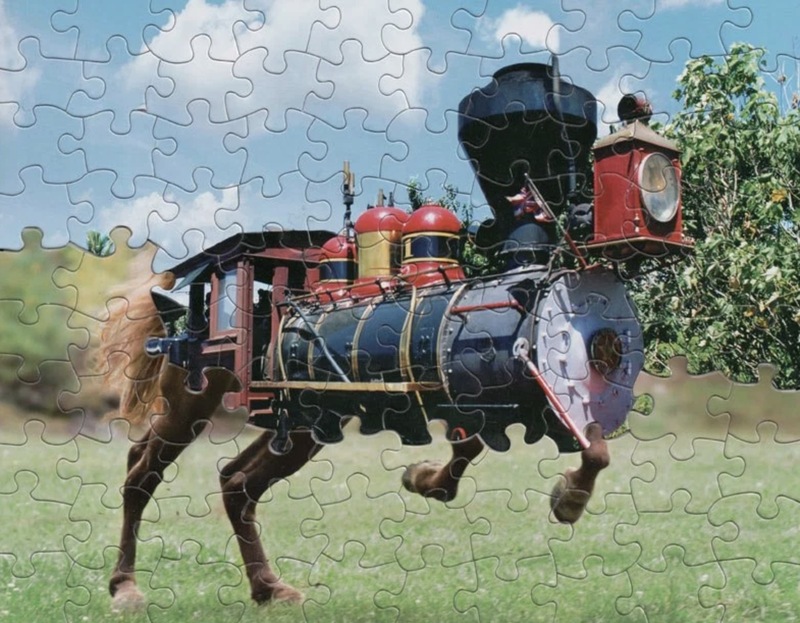 …when Vancouver, Washington-based artist Tim Klein gets a hold of some jigsaw puzzles, they become surreal images like those painted by Salvador Dalí. And the way he makes them is surprisingly simple: for years, jigsaw companies have been using the same cutting molds to make puzzle pieces. All Klein has to do is find interlocking pieces from different puzzles, and a mashup comes together. This entry was posted in Uncategorized on November 27, 2018 by cleek.